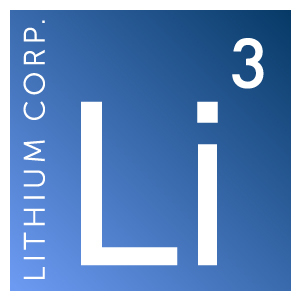 RENO, NV – JUNE 5, 2014 – Lithium Corporation (OTCBB: LTUM) (the “Company”, or “Lithco”) is pleased to announce that Mr. Brian Goss has joined the Board of Directors of Lithium Corporation. Mr. Goss graduated from Wayne State University with a Bachelor of Science Degree in Geology in 2003, and apart from a short stint working for Kennecott Exploration during the early exploration stages of the Eagle Project in Michigan’s Upper Peninsula, has been based in Northern Nevada since. On arrival in Nevada he worked as a staff geologist for Cameco Corporation, and its subsequent spin out company, Centerra Gold Inc., where he helped contribute to the expansion of the +1 million ounce REN gold deposit that was eventually taken over by Barrick Gold. Mr. Goss has held several other project geologist positions prior to eventually founding Rangefront Geological in early 2008. Brian has built Rangefront into a premier geological services company that caters to a large spectrum of clients in the mining and minerals exploration industries. Since mid-2012 Mr. Goss has served as the President, Chief Executive & Financial Officers, Treasurer, & Director of Graphite Corp., a junior OTC exploration company exclusively focused on exploring for battery grade graphite deposits in the continental USA. Lithium Corporation is an exploration company based in Nevada devoted to the exploration for new lithium resources within the state of Nevada. The Company explores and develops potentially economic lithium-enriched brine fields, with an eye to becoming a long-term producer of this increasingly strategic and economically important commodity.